Filippo Brunelleschi - Who was he? Filippo Brunelleschi was a a Renaissance architect, and also considered a sculptor, engineer, artist, and goldsmith, who was born in Florence, Italy, in 1337. As the son of a notary, Brunelleschi spent most of his life living in Florence, where he trained as a goldsmith, and eventually became master of the goldsmith's guild. Brunelleschi's patron was Giovanni de Medici, an individual of great power in Florence during Brunelleschi's time. 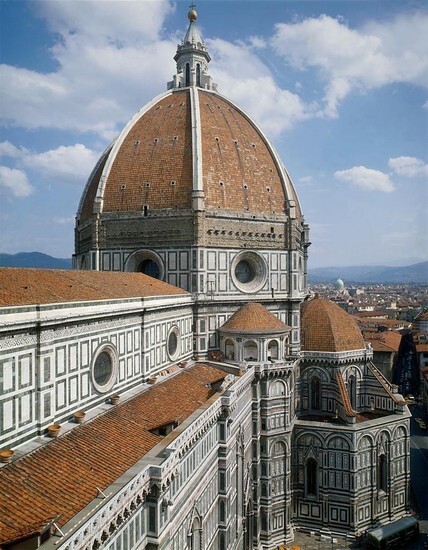 The Cathedral of Florence's dome was a dome engineered by Brunelleschi, and was an outstanding feat of architecture. This was one of the largest freestanding domes of the time. Brunelleschi's architecture is heavily influenced by the architectural style of Rome, a place where Humanistic art flourished. He studied what was considered the classics, the architecture and writings of Rome and Greece. The study of the classics is a major aspect of Renaissance Humanism. The knowledge he utilized when designing architecture is shown throughout his work, as he used classics' architectural ideas such as arches and columns, decorative yet functional. These things are what define the Humanistic ideas of Brunelleschi as a person. Brunelleschi was not a man to give up easily. For example, when tasked with the designing and construction for the dome of the Cathedral of Florence, he didn't back down with the excuse of it being undoable. He used tried and tested techniques in brand new ways. By creating his own techniques, Brunelleschi did something that was previously thought impossible. Brunelleschi didn't focus on the challenges of the project by themselves, but mainly on how to overcome these challenges in ways that will show people that this CAN be done. Brunelleschi fits the idea of skepticism, because of his "Why not?" way of overcoming obstacles. 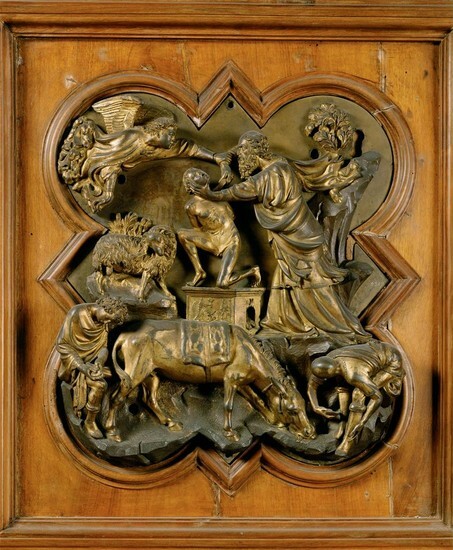 The Sacrifice of Isaac was a bronze relief made by Brunelleschi in 1401. Today, it can be found in the Museo Nazionale del Bargello in Florence, Italy. This significance of the piece is its detail. The carving of the bronze is extremely fine and intricate, which is something that I find particularly interesting. The Sacrifice of Isaac represents Humanism because of the focus on the humans in the picture. Although it is a Biblical scene, the actual relief has a spotlight on the humans and their figures. The Sacrifice of Isaac is a religious piece yet is Humanistic, which may be why it is such an interesting piece to some people. Two somewhat contrasting viewpoints come together in one piece. The humanism in the piece and the beauty of the human body shines through the piece, which is why The Sacrifice of Isaac represents Humanism. "Filippo Brunelleschi." Encyclopedia of World Biography. Detroit: Gale, 1998.Biography in Context. Web. 19 Nov. 2013. "Filippo Brunelleschi." Merriam Webster's Biographical Dictionary. Springfield, MA: Merriam-Webster, 1995. Biography in Context. Web. 17 Nov. 2013.